The Fuji X -Pro2 will have a APS-C format sensor. Home / News / The Fuji X -Pro2 will have a APS-C format sensor. 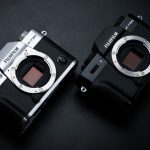 It seemed like the most sensible step to take by Fujifilm: the changing of the Fuji X -Pro1, its first star product, to also count with an APS-C format sensor. And so it says a trusted source from Fujirumors, the X-Pro2 will keep a smaller format. There were various speculations about this and a few eager Fuji fans that wanted to see a full frame Fuji X-Pro2, but probably it’s not something that is going to happen, at least on this line of cameras. 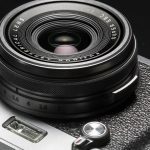 Now it remains to be seen if the Fuji X200 will be responsible for introducing the full format on the X Series, or if all that speculation in the past was not valid and whether the future of the larger sensor Fujifilm cameras will come in a medium format instead.